Yes. It is recommended that you apply in advance as then you will be pre-qualified when you are searching for your home. 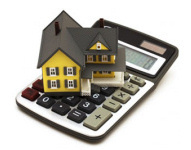 Being prequalified will help you set a budget so you are searching for homes in the price range you can afford. With a client’s authorization the lender can pull a credit report to assist in obtaining their credit score. The higher the credit score the more favorable the interest rate can be. Additionally, many loan programs will have a minimum credit score to qualify. There will be different documentation requirements for a self-employed person verus someone employeed by others. Talk to your mortgage professional about documentation requirements. Some loan programs require you have to a certain number of months’ worth of total housing expense set aside in savings. This is mainly used for second homes and investment properties. Why do you need to know how many properties I own?Certain loan programs restrict the number of properties you may own to 6 or 10, depending on the program, in order to qualify for another mortgage.